Futura Group is an Italian company that designs, develops and manufactures a multitude of items for the world of makers. From electronic projects to 3D printers: products and knowledge are disseminated through magazine (ElettronicaIn), websites and blogs (futurashop.it, elettronicain.it, open-electronics.org). 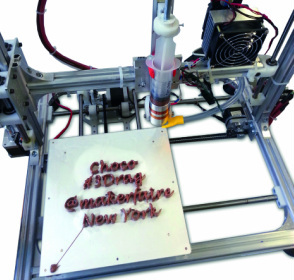 At the 2014 World Maker Faire, Futura Group will present 3Drag Chocolate, one of the premier evolutions of 3Drag- the most hackable 3D printer of the world.